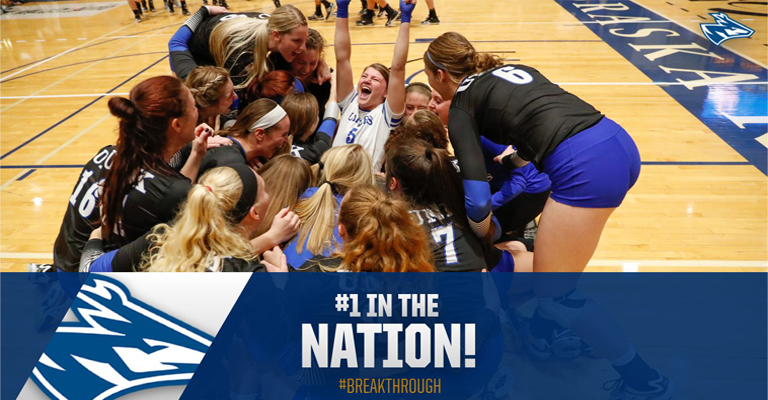 This is not the first stint atop the rankings for UNK as the team has been tabbed as the AVCA No. 1 25 times in its history, the last in the Oct. 8, 2012 poll. The Lopers nabbed 25 of the 48 first place votes and finished 20 points ahead of No. 2 Concordia-St. Paul (6-2), the two-time defending national champions. Northern Michigan (8-0), which was one of two teams to beat Minnesota-Duluth jumped into the poll at No. 23. No. 17 Texas A&M-Commerce (6-2) and No. 22 Drury (6-2) also were newcomers to the rankings. For Texas A&M Commerce, it marked the first time the team has been among the Top 25 since 1989. The Lions downed No. 2 Concordia-St. Paul, No. 3 Lewis and No. 10 Regis on Week 2. Seven teams mentioned on only one ballot for a total of 43 combined points.